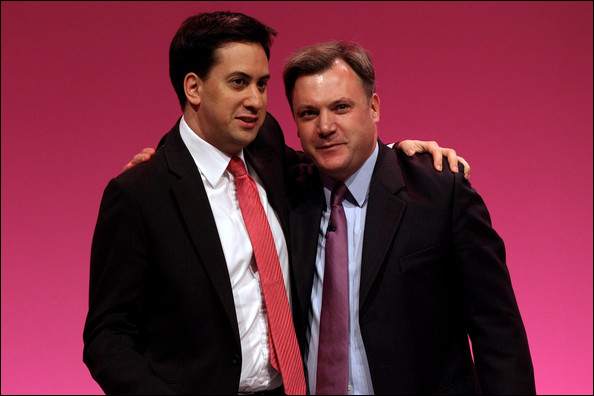 There has been a curiously mixed reaction to Ed Balls' appointment as shadow chancellor. Some Coalition pundits have been rubbing their hands with glee that the architect of Gordon Brown's disastrous economic policies is once more in the driving seat. On the other hand there has been a great deal of recognition, not least from George Osborne, of Balls' formidable and single-minded 'attack dog' style. And in contrast to the nice, but clueless, Alan Johnson, his firm grasp of the 'dismal science' means Labour's economic policy has finally, to put it bluntly, grown some balls. What is indisputable is that his appointment has changed the game entirely. But whether this will play in favour of Labour or the Coalition depends on a number of factors. The first of these is Balls' relationship with his leader. Had this been David and not Ed Miliband, it is not likely to have been a problem - David would have been in a strong enough position to bring the 'deficit enthusiast' to heel on economic policy and present a united front. But Ed Miliband has been a weak leader and this will serve to weaken him further. That the forceful and energetic Balls will inevitably eclipse his leader is bad enough. That he will do so convinced of the folly of his position is a ticking time bomb for Miliband. For while Balls has publicly changed his tune for now, it does beggar the question as to whether he will be able to do so with the gusto he is known for. Will he really be able to fight with such ferocity over something he does not believe in? As Jonathan Isaby suggests, it may not be long before he breaks. The consequences for Labour are that Miliband, already poorly thought of by the public, is seen as a puppet controlled by his own shadow chancellor. On the other hand, if he sticks to his guns, the pressure between the two may build to the point where it explodes into open hostilities. Both will serve to make the party unelectable. But of equal importance is the performance of the Coalition. The Conservatives' election campaign, personally directed by George Osborne, was notable for its weakness in attacking Labour's appalling social and economic record over the preceding 13 years. In Balls' appointment to shadow chancellor, they have a golden opportunity to rip apart not just Labour's record, but its ability to learn from the most glaring of mistakes. As Matthew Hancock points out, Balls was the man who before the crisis built up the biggest deficit in the G7, took away the Bank of England's power to regulate the banks and, at the height of the boom, actually encouraged the banks to borrow more. He, more so even than Brown, was fully convinced of having abolished boom and bust. If George Osborne and David Cameron do not hammer this point home to the electorate they are making a grave mistake. Balls' bleating about the deficit being cut too soon is exactly what the electorate want to hear given the pain they are suffering and he, more than anyone in his party, will be able to articulate this in a clear and convincing manner. It is the Government's responsibility to expose this as being as rooted in reality as the rest of his disastrous economic policies. Because for all the Labour leader's talk of 'a new generation' taking over the party, it is apparent now more than ever that it is headed by the very people who led us into this mess. If they fail to hammer this home they will be giving Labour the break they so desperately need and spell renewed disaster for the country.